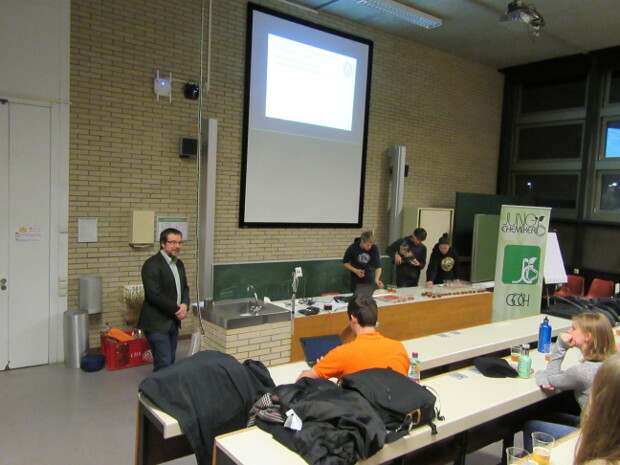 The talk "Chemistry as a hobby - beer brewing and oil pressing" took place on 12.01.2017 at Johannes Kepler University Linz. 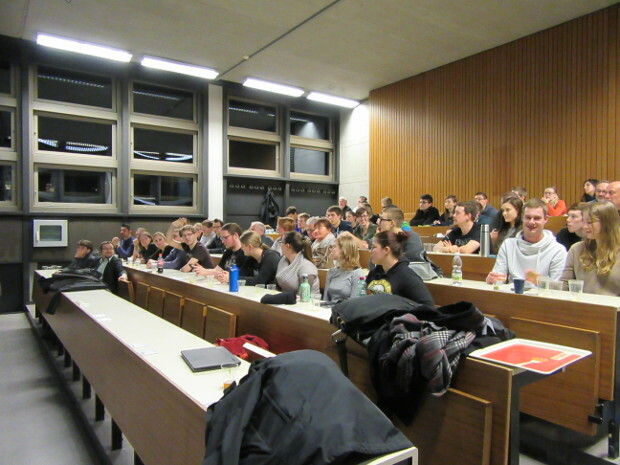 DI Andreas Kreuzer and DI Markus Nadlinger showed us that PhD-students at our university are not only concerned with their current research area, but also devote themselves to various topics of chemistry in their spare time. Since 2015 Andreas Kreuzer has been dedicating himself to the different facets of the popular drink beer. In addition to the facts about chemistry and production of beer, the focus of the talk was on small-scale brewing. The audience got interesting insights into "home beer brewing" and the award-winning master brewer shared his personal experiences in beer brewing. 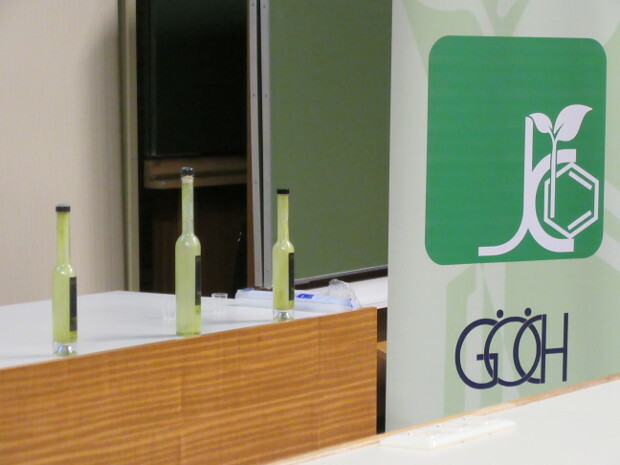 In the second part, Markus Nadlinger explained the production of various edible oils. Apart from doing his PhD in chemistry he works as hobby farmer at the parental yard. From sowing through harvesting to the processing of the final product, the audience could experience the process of producing pumpkin seed and linseed oil. The presentation was rounded off with samples of the products such as different beers, pumpkin seeds and pumpkin liqueur.